We can’t stop suggesting volumizers to our clients this month! There’s nothing quite as highly coveted when leaving the salon than your hair’s lovely lift. When you’re feeling a little flat Kevin.Murphy has a few products that are volume essentials for almost every hair type. We use them constantly! 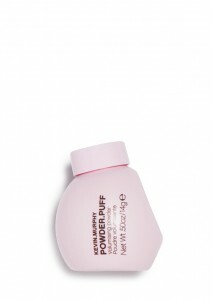 This volumizer tames fly aways and adds oil free shine to those freshly dried locks. 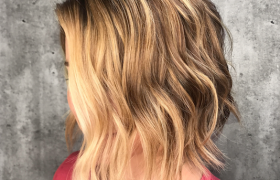 Before you break out the blow dryer, squeeze a quarter sized amount of the Anti.Gravity in your hands and work throughout hair from roots to ends. 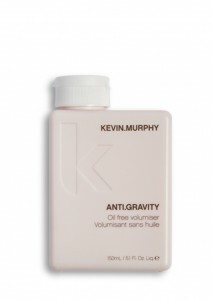 Kevin.Murphy also has Anti.Gravity spray for the same effect on dry hair. 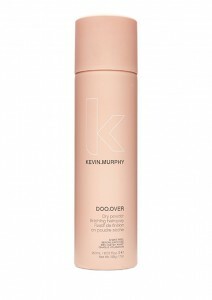 Doo.Over is a necessity to bring home with you after your appointment at Lindsay Griffin. It’s a miracle product that doesn’t give that oil and shine a normal hairspray would. Focus the spray on the roots to amplify your hair, and utilize it all over for some extra daytime hold. Pick up any of these items during our salon hours! 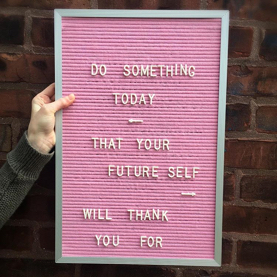 Wednesday – Friday 10am to 8pm, and Saturday’s 9-5.